It’s all too easy to start a blog on your existing website – or create one from scratch. In just a few minutes, you can have a space setup for jotting down all of your thoughts, observations, ideas and promotions. Nevertheless, this isn’t all that goes into building a successful blog – and in reality, it’s just the beginning. Building the very best blog posts takes time and dedication. You need to effectively design each aspect of your posts to resonate with the audience and produce the results desired. It’s also crucial to ensure that the broader process is optimized – both for long-term success and your own sanity. Today, we’ll look at what you can do to streamline and plan out a template for your blogging strategy. To formulate any successful posting strategy that can be replicated time and time again, you need to first understand your audience. Each audience is different – even within the same niche – and can desire or expect very different things. Everything from tone and phrasing to formalities and media selection can be impacted by exactly who your audience is and what they want. Some basic research, surveying and analytical evaluations will be needed to better understand your audience, but once that information is in hand, you can use it to formulate a comprehensive posting strategy that delivers maximum results. Before you can start pinging links to search engines and on social media, you must first have an idea. Developing new topic ideas can be challenging, but the process is made easier by having a strategy for discovering them. For example, some people follow RSS feeds and keep an eye out for new topics based on keywords. Other people have found great benefit in scouring sites such as Quora and Reddit, and in particular, the latter’s use of subreddits can be a very helpful way to find out what people in your audience are asking, thinking about or considering. 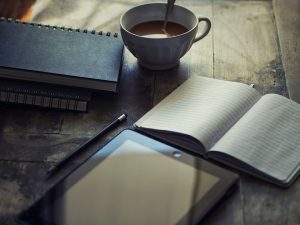 This part of the writing process is probably the hardest: once you have a tried strategy in place to find new ideas and topics, the writing process can be quickly and easily executed. Last but not least, a huge part of success for any potential blog post comes from its allure and marketing. While content is of course crucial, how you frame, brand and promote that to the wordl has just as much impact. One such example is devising a strategy for creating headlines: you want to promote your content while enticing people to click on it. With an unprecedented amount of content on the web these days, you need to stand out from the rest. Additionally, having a format for how many images to include, where you’ll typically place sub-headings and how many paragraphs should be included can make the writing process much more simplified. Creating new blog posts involves more than just writing content and pinging links; it is a multi-step process that takes plenty of dedication and focus. By formulating strategies that account for your audience’s interests, the latest news and ideas in the niche and standardized formats for content creation, you can eliminate all of the worrying and stress – and instead just focus on creating high-quality content! “Content is king” I read/heard someone said that before. Pinging is important but still..content is more important.